Caption slip reads: "Photographer: Lapp. Date: 1951-06-21. Reporter: Margaret B. Assignment: Vets babt. Monday. 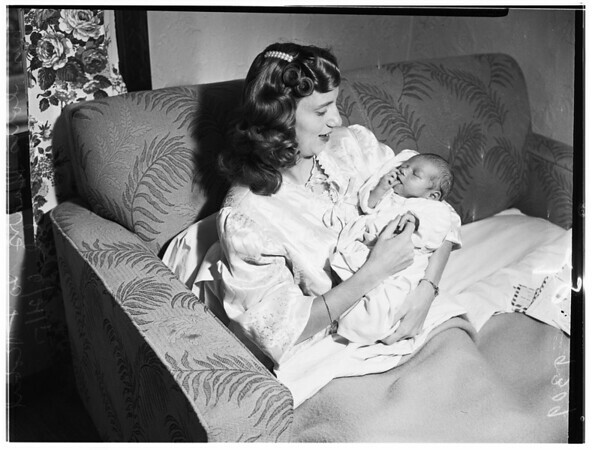 7/8: Mrs. Doris Davis, 20, with Robert Alan, 5 days old, son of Corp. Howard Gene Davis, 23, USMCR, now in Korea".